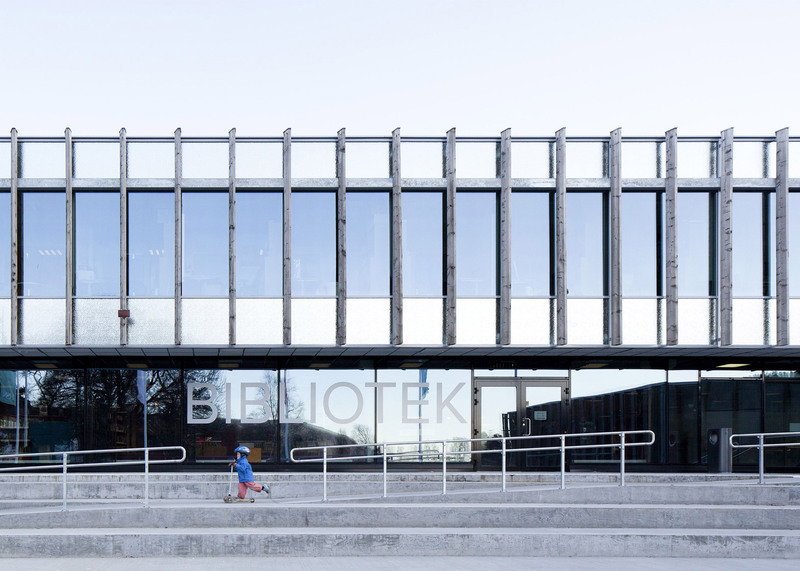 Mecanoo and Code: Arkitektur have completed a library and cultural centre in Kongsberg, Norway, which centres around an atrium with concrete staircases running across its walls and through its centre (+ slideshow). 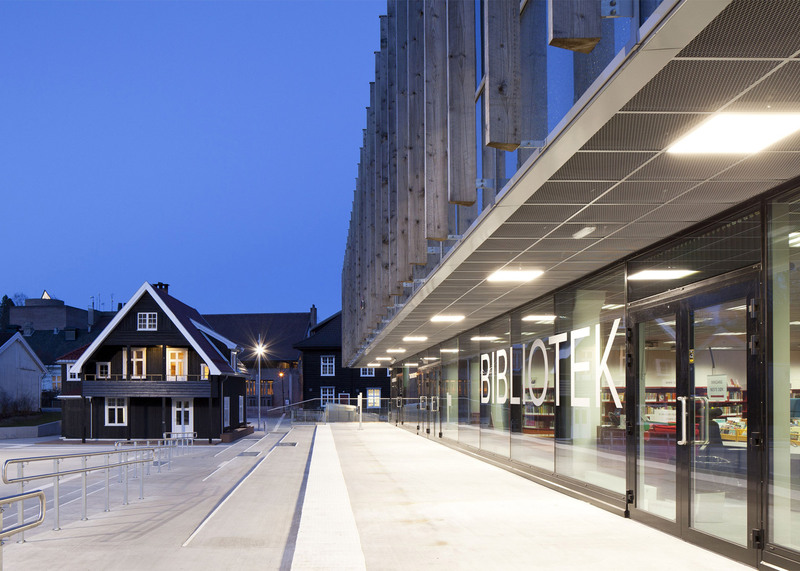 Dutch firm Mecanoo – which was also behind Europe's largest public library – partnered with local studio Code: Arkitektur on the KRONA Knowledge and Cultural Centre to accommodate a variety of public functions required by the local community. 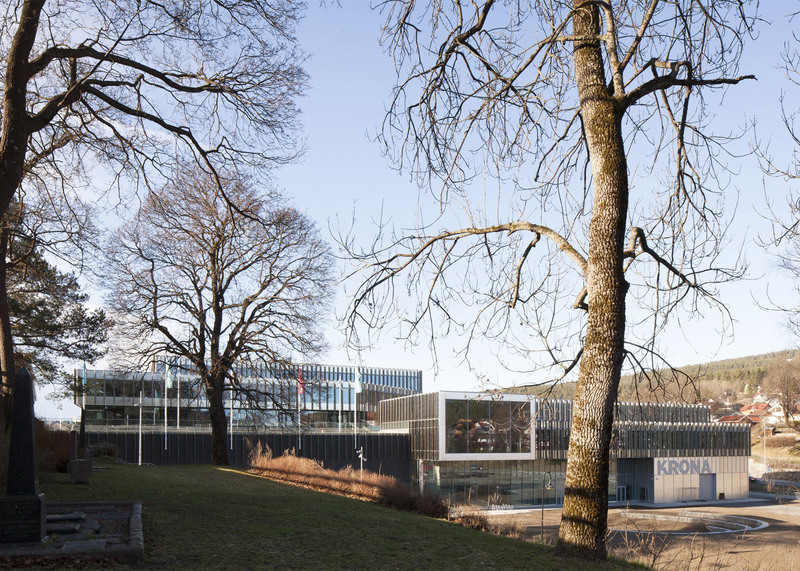 The 24,000-square-metre building contains new teaching and technical laboratory facilities for Buskerud University College and Tinius Olsen Technical Vocational College. 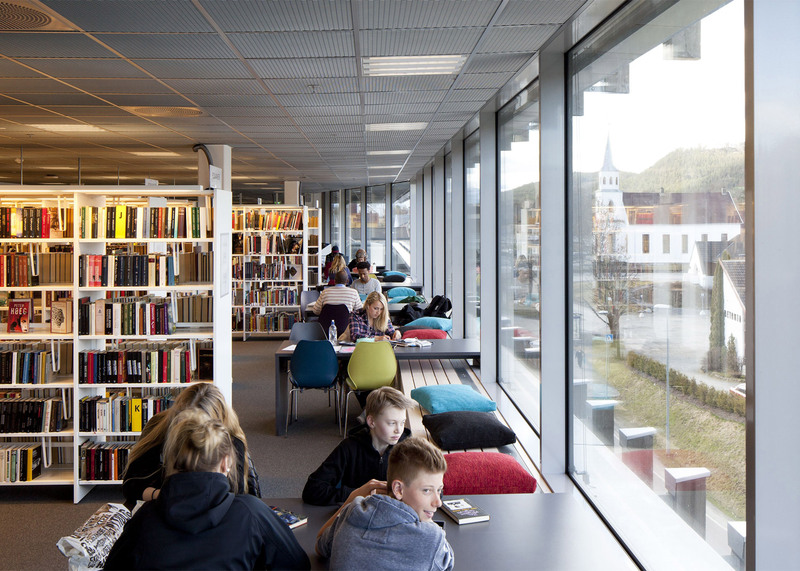 It also provides a technical university library, a public library, cinemas, council offices and a theatre auditorium. 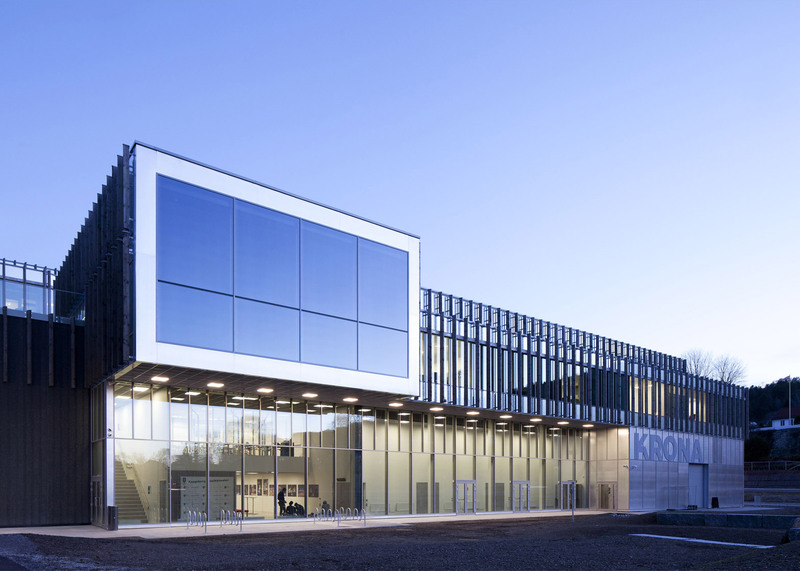 The layout of the building is intended to draw visitors towards the multipurpose atrium. 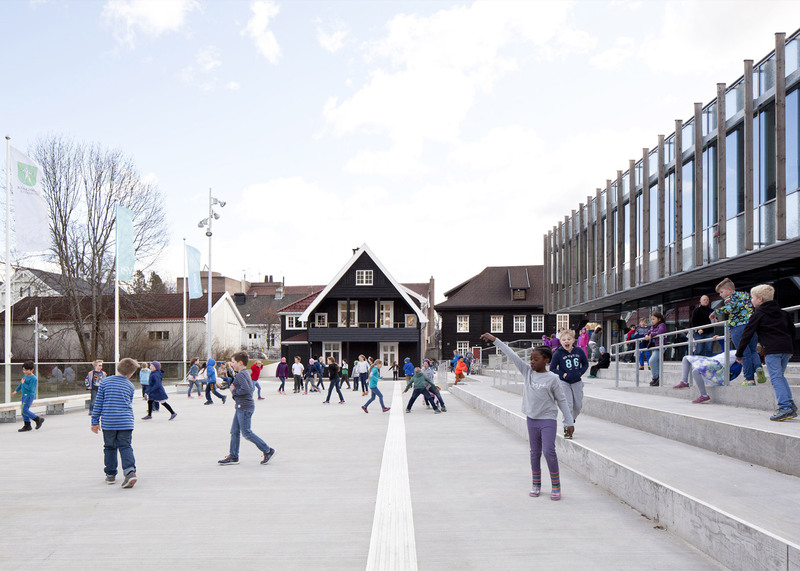 "Using subtle landscape elevations and strategically locating programme access points, visitors intuitively gravitate towards the centre," said Mecanoo. 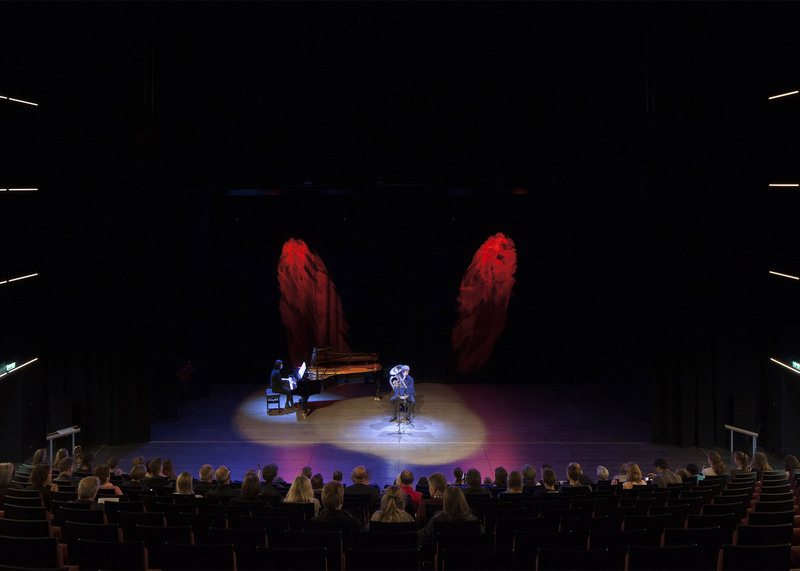 "Throughout the interior spaces, strong visual connections to public functions further enhance the liveliness of the complex." This space is brightly lit, thanks to a large skylight, and features walls covered with vertical wooden battens. 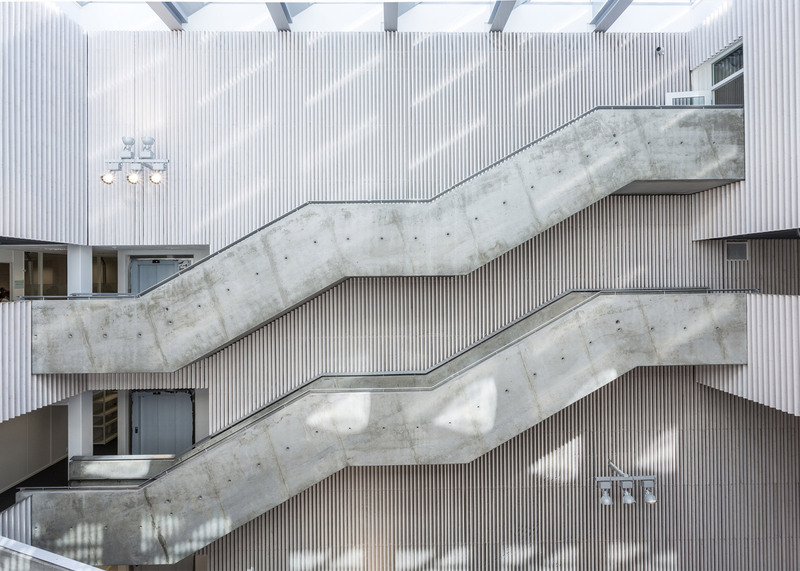 A concrete staircase is suspended diagonally across the centre of the space, while other staircases run along the walls. There are also balconies overlooking the space from several different floors. 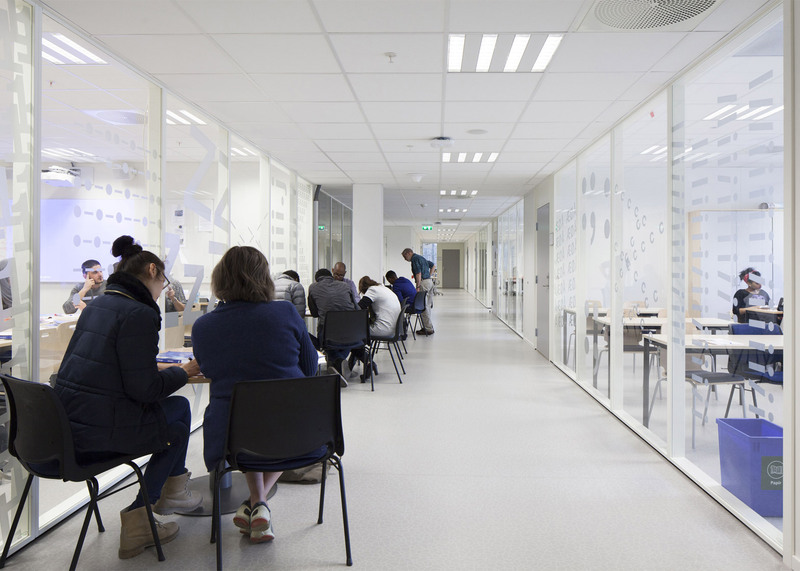 Tables and chairs set up in the atrium and the surrounding landings offer opportunities for informal working or socialising. 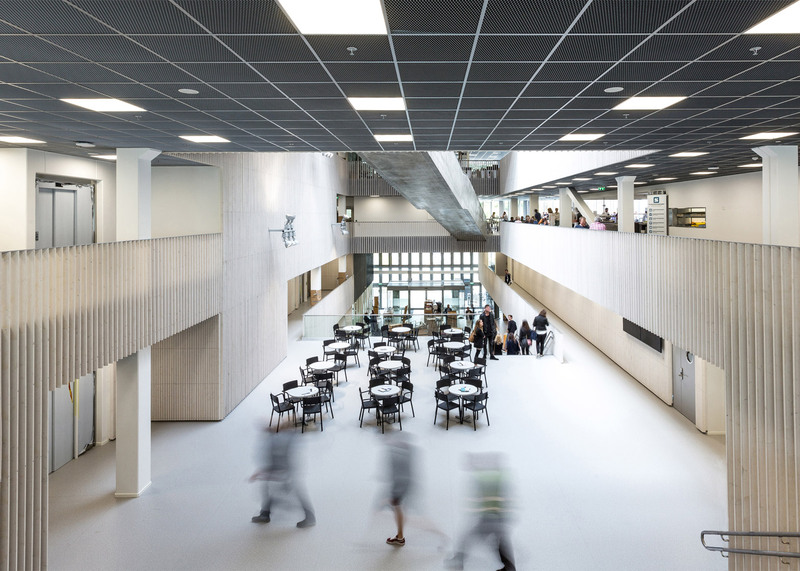 Other spaces in the building designed with flexibility in mind include the university canteen, which becomes a cafe in the evening. The public library also functions as a foyer for the theatre and the art gallery serves as the film centre's bar. 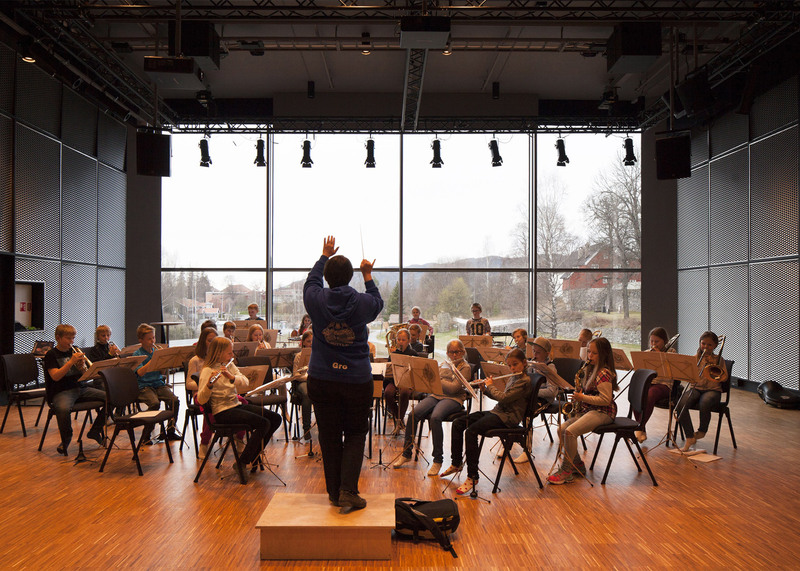 Several auditoria at the centre of the complex are designed to be reconfigurable and can therefore be used for various purposes, including lectures, performances, concerts, receptions and meetings. 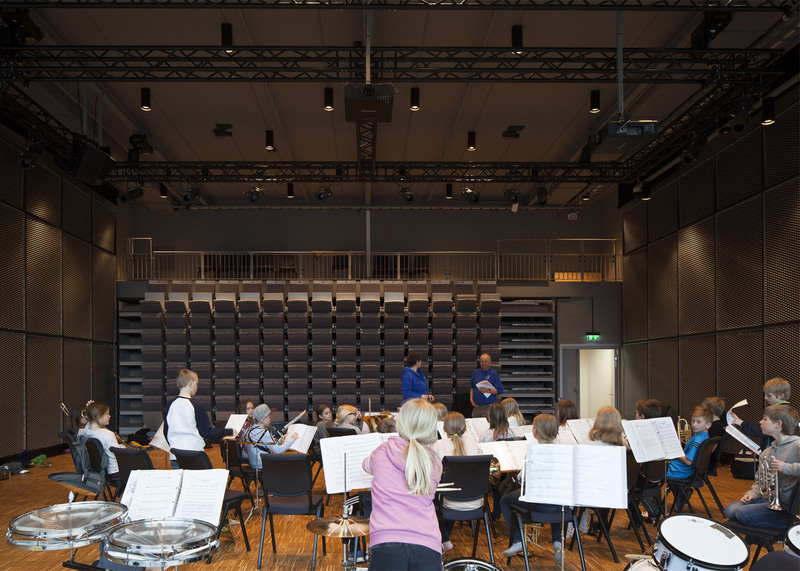 "These entertainment spaces are designed to be as open and flexible as possible," the architects added, "yet also create a vibrant, social atmosphere, and a connection to Kongsberg's historical context." 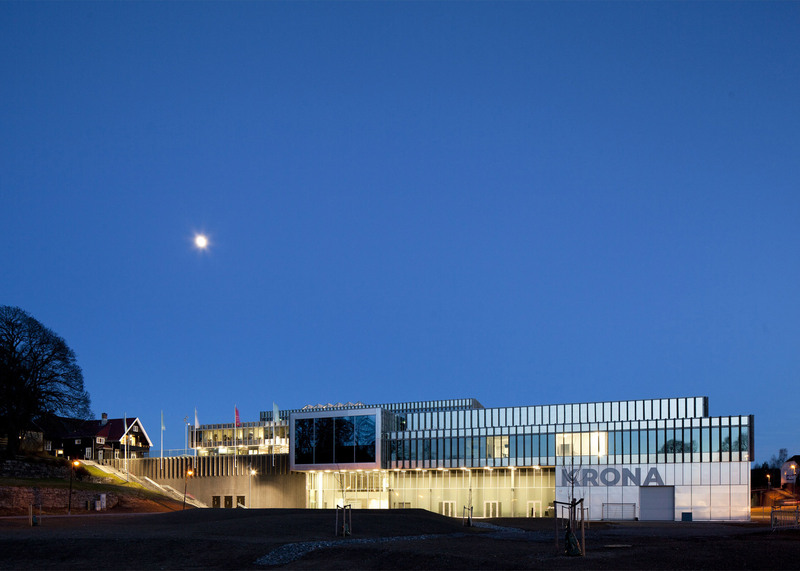 KRONA is situated in a historically significant area next to Norway's oldest university building, and its design was developed in response to this sensitive context. 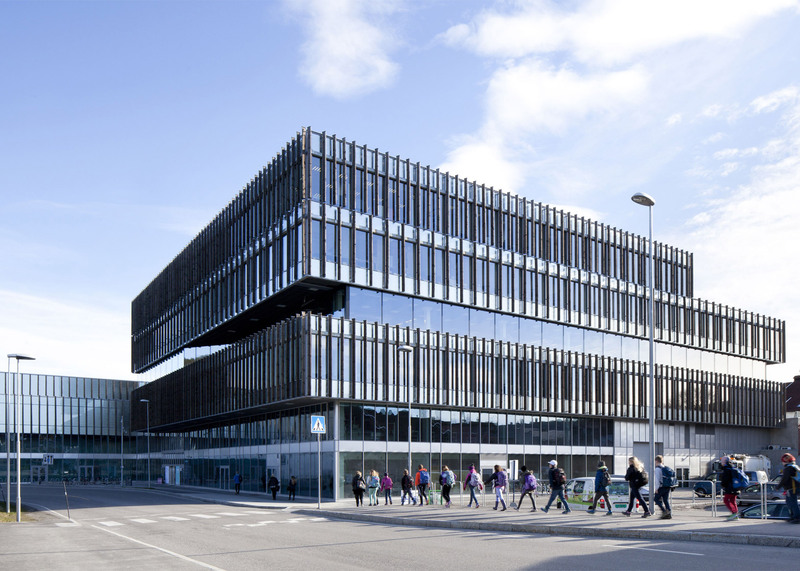 Emerging from a gentle slope on its eastern edge, the building's metal and glass facades are covered with vertical wooden fins that reference the local architecture. 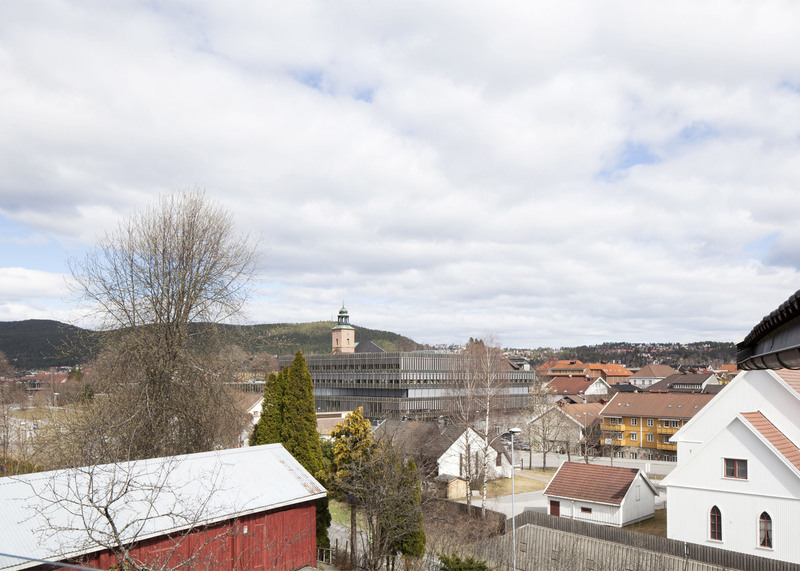 Where it faces the adjacent Hasebergtjerndalen park, a balcony provides space for outdoor performances and an amphitheatre is carved into the landscape in front of the building. 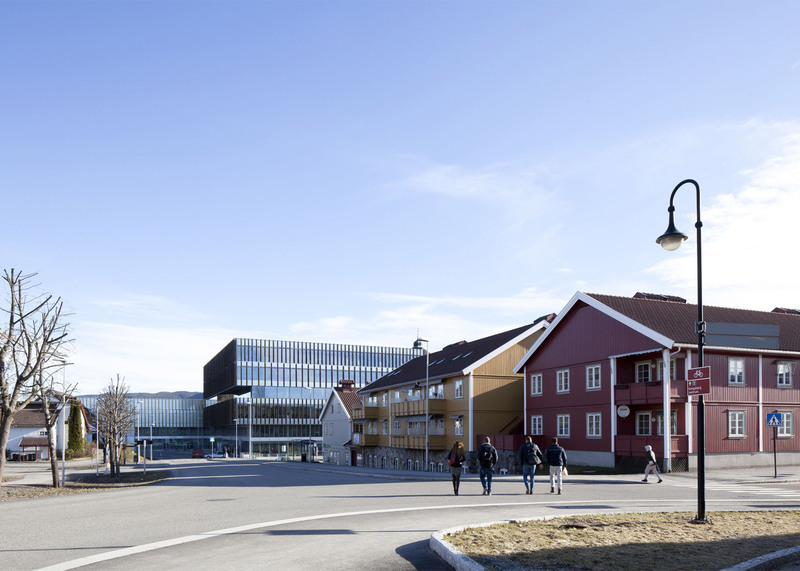 To the east, KRONA faces the existing church square and this public realm continues into the centre of the building, where the public and university libraries are located. 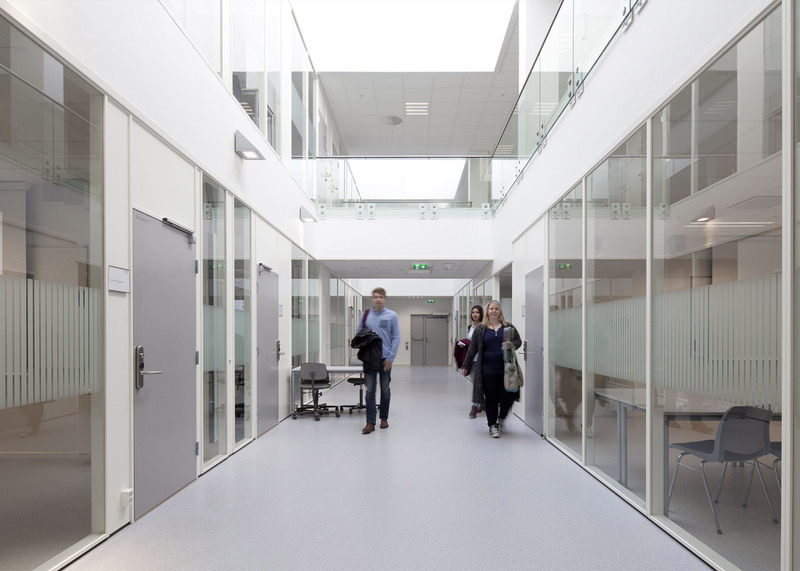 The connection between internal and external public space is accentuated by the continuous application of the same stone flooring. Mecanoo is also working on the renovation of Mies van der Rohe's Martin Luther King Jr Memorial Library in Washington DC, and was put in charge of renovating the New York Public Library after an original proposal by Foster + Partners was scrapped.